The art department is very proud of our Chargers and what they accomplish. For the 2018-19 Scholastic Awards, Shorecrest artists were awarded 7 gold awards and 7 silver awards. Some were also selected by Temple Beth-El for its student exhibit during Arts Festival Beth-El. 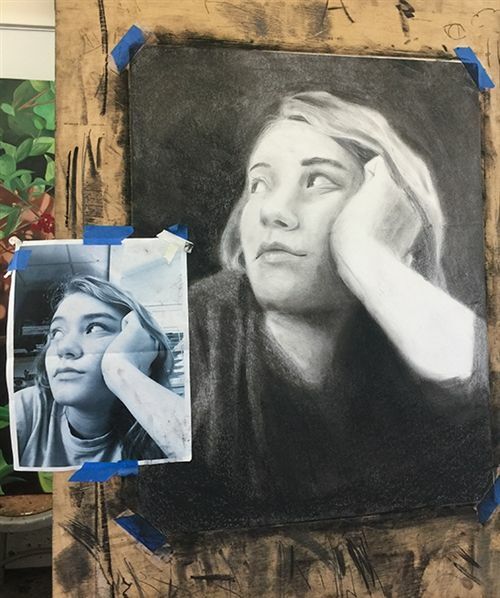 Ms. Gaglio was proud of her student artists and said, "Our students do so many things well, and I am always amazed at the quality of work that they produce given the time they have to devote to the visual arts. Also, all grade levels are represented, which is pretty cool. When you see them, please join Casey (McDonough, US art teacher) and me in congratulating these wonderful students for their hard work and accomplishments!"